The symptoms of heartburn are from the irritation of the esophagus, which is caused by stomach acid. Heartburn (or GERD) affects nearly two thirds of US adults at some point in their lives, and accounts for 4 to 5 million physician office visits every year. Most patients feel a burning discomfort in their upper stomach or below the breast bone. Occasional heartburn isn't dangerous and can be easily treated with lifestyle changes or over the counter antacid medications. 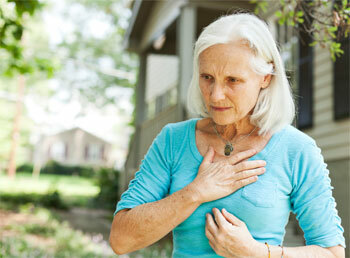 However, chronic heartburn or GERD can sometimes lead to serious medical problems. The symptoms of GERD can range from simple heartburn to esophageal tissue damage. Some patients can have subsequent complications including malignancy (cancerous) or airway disease. Barrett's esophagus is a serious complication of GERD and about 10% of patients with long term GERD develop Barrett’s esophagus. In Barrett's esophagus, the normal tissue lining of the esophagus changes to tissue that resembles the lining of the intestine. Barrett’s esophagus increases the risk of developing esophageal adenocarcinoma. Why do patients develop GERD? The etiology of GERD is not completely understood but may be caused by an unusual relaxation of the lower esophageal sphincter (LES), a muscular valve in your esophagus that prevents food from coming back up your throat and keeps the stomach acid in your stomach. Other causes can be increased frequency of transient sphincter relaxation, increased pressure from the stomach secondary to a hiatal hernia, or increased pressure within the abdomen. When the LES opens too often or does not close tight enough, stomach acid can reflux into the esophagus and cause the burning sensation. Other causes of GERD include gastric emptying disorder or failed esophageal peristalsis (wave-like movements in the muscles). How is severe GERD diagnosed? For those patients with severe GERD, your doctor must provide an objective documentation of gastroesophageal reflux before one can consider surgery. The flexible esophagoscopy is usually the first step to establish the diagnosis. During the endoscopy procedure, tissue biopsies may be taken if there is evidence of esophagitis (inflammation). Histological diagnosis of Barrett’s esophagus from the tissue biopsy is also considered an objective evidence of GERD. In the absence of endoscopic evidence of reflux, the current gold-standard objective test is the 24-hour esophageal pH test that must be placed by your physician. Who should consider Anti-Reflux Surgery? Studies have strongly supported surgery as an effective alternative to acid suppression medications. Long-term follow-up data showed that surgery resulted in significantly less acid exposure and significantly increased lower esophageal sphincter pressure compared with medical therapy. Surgery has also been demonstrated to lead to high patient satisfaction rates. The majority of patients can stop acid suppression medications after surgery. Laparoscopic Nissen Fundoplication is now considered the gold standard surgical approach for treatment of severe gastroesophageal reflux disease (GERD). The Nissen fundoplication is total 360° reinforcement of the lower esophageal sphincter, but partial fundoplications known as Dor (anterior 180–200°) and Toupet fundoplications (posterior 270°) are alternative procedures with somewhat different indications. During a Nissen fundoplication operation, the esophageal hiatus (a hole in the diaphragm through which the esophagus passes) is usually narrowed down by sutures first to prevent or treat a concurrent hiatal hernia. Then the upper portion of the stomach (fundus) is wrapped around (360°) the lower end of the esophagus and stitched in place, reinforcing the closing function of the lower esophageal sphincter. The Nissen fundoplication is now routinely performed laparoscopically. Compared with the traditional open surgery, laparoscopic surgery may have advantages including significantly reduced post-operative pain, improved cosmetic appearance with smaller scars, reduced morbidity, shorter hospital stay, a faster return to normal activities and decreased respiratory complications. Obesity is a strong risk factor for GERD. The incidence of GERD increases as the body mass index (BMI) increases. Although still controversial, there were reports showing higher long-term failure rate for fundoplication surgery in obese patients (BMI>30). When surgical treatment of GERD is indicated in a morbidly obese patient, laparoscopic Roux-en-Y gastric bypass surgery, rather than fundoplication should be strongly considered. Gastric bypass surgery not only better address the mechanisms that lead to GERD in morbidly obese patients with high efficacy and durability, but it also addresses the obesity-related comorbidities by achieving significant and sustained weight loss. After gastric bypass surgery, patients can have durable relief of reflux symptoms, improved quality of life and reduced long-term mortality due to improvement or resolution of obesity related comorbidities. For those patients who failed previously anti-reflux surgery, laparoscopic Roux-en-Y gastric bypass has also been reported to be effective in controlling reflux symptoms. The mechanisms of reduced reflux after gastric bypass surgery include significant reduction of acid production from the small gastric pouch, lower intra-abdominal pressure after weight loss, and elimination of bile reflux due to a biliary diversion process. Among all the bariatric procedures, Roux-en-Y gastric bypass surgery is widely accepted as the standard procedure for morbidly obese patients with severe GERD. The role of laparoscopic sleeve gastrectomy in relieving GERD symptoms in morbidly obese patients is still controversial. Many experts believe that sleeve gastrectomy does not reliably relieve or improve GERD symptoms and may induce GERD in some previously asymptomatic patients. The lap-band procedure is less effective in terms of weight loss and reflux symptoms relief and it has a much higher long-term complication and failure rate. Studies with long-term follow-up showed that laparoscopic anti-reflux surgery is a safe, effective and durable treatment option for patients with severe GERD. When performed by appropriately trained surgeons, the anti-reflux surgery can lead to significant improvements in symptoms of GERD and quality of life.